Wärtsilä has been awarded the contract to supply a broad range of integrated automation, navigation and dynamic positioning equipment, as well as the complete uninterruptable power systems (UPS) for four new cruise ships. Two of the vessels are being built at the Meyer Werft shipyard in Papenburg, Germany, while the other two vessels are to be built at Meyer Turku in Finland. The contract with Wärtsilä was signed in the second quarter of 2016. 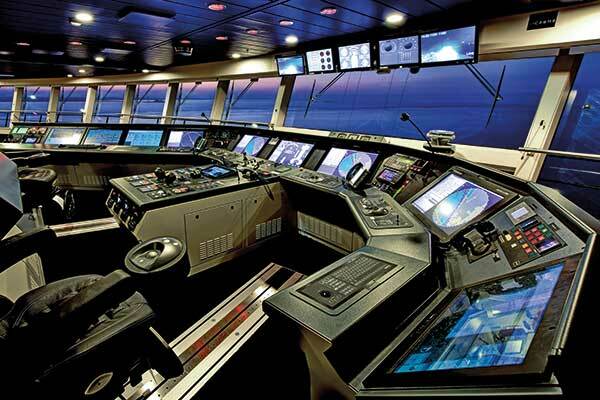 The Wärtsilä Nacos Platinum system comprises 12 multifunction workstations for combined displays of ARPA radar, ECDIS conning and dynamic positioning operations, in addition to those for automatic steering and voyage planning. The scope of navigation equipment also includes the subsidiary sensors, as well as associated communications facilities covering a full range of GMDSS A3 equipment. Wärtsilä's Nacos Platinum series is complemented by an advanced integrated dynamic positioning system. Three compact workstations provide full access to the customised cruise software from the main bridge and from both bridge wings. Wärtsilä Nacos Valmatic Platinum is an integrated automation system that includes numerous individual systems handling power management, energy measuring, LNG plant control, the HVAC, cabin control, emergency shutdown, information management, safety management control, video walls and tactical tables, as well as an extended alarm system. The complete system is operated and controlled from a total of 24 work stations at different locations. In addition, the HVAC system has local control from 55 locations. Each vessel will be equipped with Wärtsilä Jovystar Ocean UPS systems, including eight 100 kVA UPS, five 20 kVA UPS, and two 40 kVA UPS. Altogether, there will be one MW of UPS power for each vessel. The UPS systems secure the power supply of critical and essential systems, such as those serving the fire zones, bridge, navigation functions and broadcast systems. "We are extremely proud to once again be selected by Meyer Werft to supply our Wärtsilä Nacos Platinum equipment, which is already in service aboard numerous cruise vessels. Wärtsilä's capability to offer owners and operators state-of-the-art technology for cruise applications underlines the company's position as a market leader for such systems," says Stephan Kuhn, Vice President, Electrical & Automation, Wärtsilä Marine Solutions.